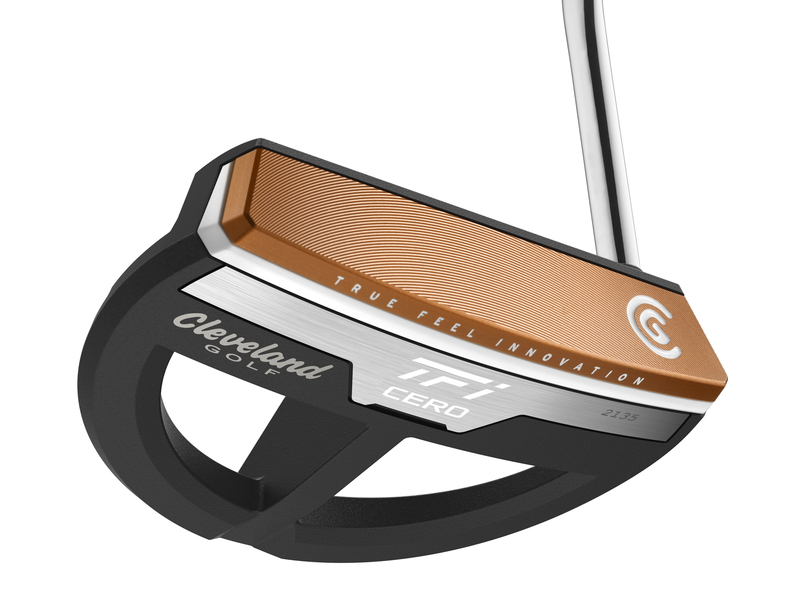 Fresh from the announcement of the new Huntington Beach range yesterday, the Cleveland TFi 2135 putters have also received a boost with the unveiling of four new models. All four are mallet-style putters and have been added to the Cleveland TFi 2135 family built with the aim of 'helping you align your putts correctly no matter how you set-up to the ball'. The new models – named Elevado, Elevado Counter Balanced, Mezzo and Cero – all feature the same raised alignment technology as the originals. It sees the alignment line sit behind the face and 21.35mm, the exact radius of a golf ball, above the ground. They also have the True Feel Innovation face made from a soft polymer under layer and a copper-infused aluminium face, it gives great feel on putts from all distances. Cleveland has described the additions as modern looking mallet shapes with each model designed to be clean with few distractions to place an emphasis on the sightline. The Cleveland TFi 2135 Elevado is available in both standard and counter balanced options. It features two wings to increase the stability of the head, while also acting to frame the ball at address. The Mezzo is a centre-shafted design and is the smallest of the four putters being introduced. Described as a ‘modern, angular shape’, it fits nicely into the mid-mallet category. Finally, there is the Cero. It’s the biggest of the four new shapes and gives the most stability. It can be particularly helpful for those who struggle with the pace of their putts.